Come do lunch with your Upper Keys Business and Professional Women's club! Join us for the first meeting of the new year. 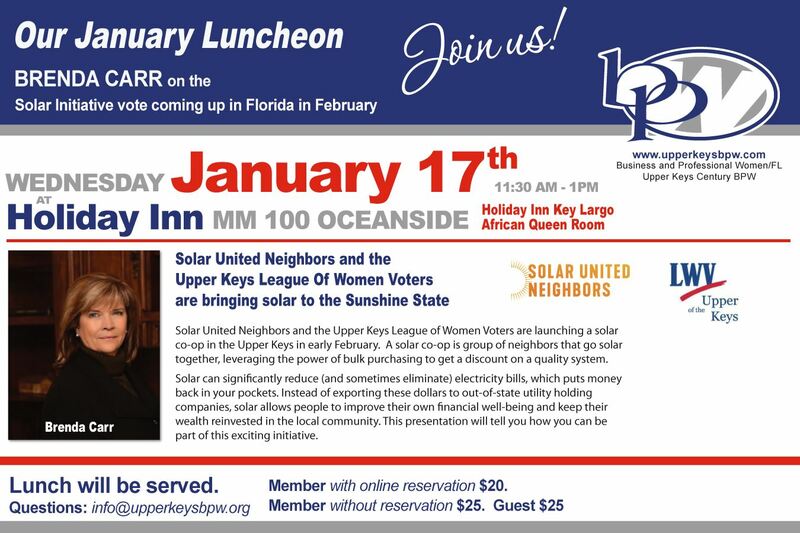 We have Brenda Carr speaking about the upcoming vote for a solar initiative in the Upper Keys.